Discover, book and pay for hair and beauty appointments in one click. Browse top hair and beauty salons near you in Melbourne and Sydney. Access full list of services. 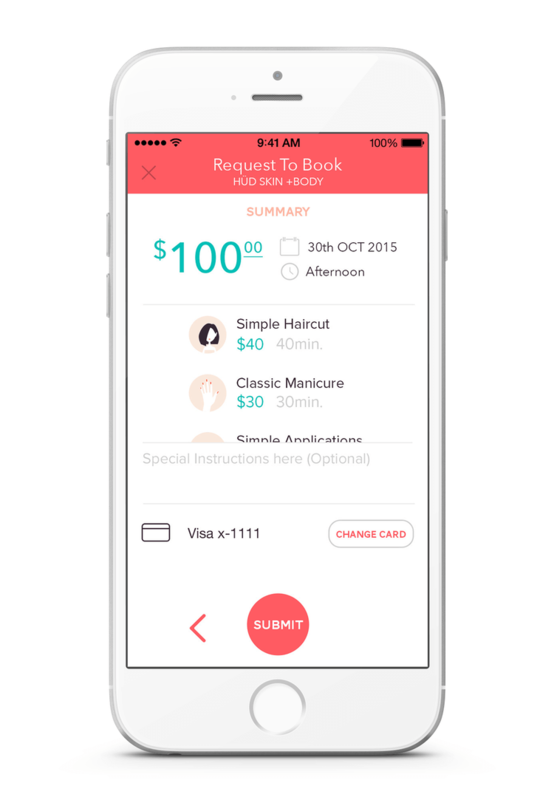 Instantly book and pay for your hair and beauty appointments. Rebook in one click. Manage and keep track of your wellness all-in-one. On fleek in one click. Booking a hair or beauty salon appointment can be a frustrating task - google searching, looking through encyclopaedia-like pages of Yelp and wasting time calling around salons. Beauro rids you of the beauty booking hassle, taking one thing off the plate and empowering you to do your best while looking and feeling fabulous at all times. Book whenever you want, whatever you want in one click. It's beauty on your terms. Partner with Beauro to reach and retain new clients, reduce no-shows, fill last minute cancellations and sell more gift vouchers. Have a hair or beauty salon you love and visit but can’t find it on Beauro? Let us know and we’ll add them to our network. Join our Insider community to access last minute appointments and deals, latest salon openings and insider tips. Treat yo self - spa and beauty gift cards. Treat your girlfriend to a Beauro eGift Card just because, or if she's a mum-to-be or bride-in-stress (you can thank us later). Birthdays, anniversaries, wedding prep, Mother's Day or a simple thank you - we have your girl squad, mum or partner covered for any occasion. Buy, send and redeem our spa and beauty gift cards instantly via the app at over 200 participating salons and spas in Melbourne and Sydney.